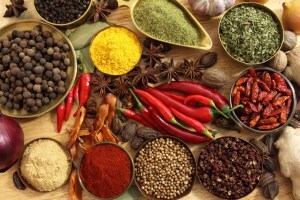 Herbs and cooking spices contain a wide range of antioxidants, vitamins, and minerals. They are known to help maximize the nutrient density of food. This means that by seasoning foods with herbs and spices you are making them even better for you without adding a single calorie. The food tastes better, and the calories stay down, that’s a win-win! In actuality, on a per gram fresh weight basis, herbs ran even higher in antioxidant activity than fruits and vegetables. Say, what?! Yes, this is true, and we all know how high fruits and veggies are in antioxidants. Studies have shown that a lot of spices tend to have unique medicinal qualities. In our next few blogs we will discuss some of the awesome qualities of these herbs and spices! Stay tuned!